We are among the leading manufacturer and supplier of a wide gamut of Corporate Signboard. These are quality grade signboards that are made with the utilization of latest and advance technology and methodology. Moreover, the offered product is customized in various shapes, colors, designs and sizes. Our offered product range incorporates ACP Signs, Corporate Signage, Corporate Retail Branding and Corporate Shop Branding. We are considered as a leading industry offering our client a broad range of Corporate Shop Branding. The offered product is produced under the strict vigilance of our team of expert, who check the entire product-line, to confirm the clients, complete assurance over the product offered. Moreover, to meet the variegated demands of the clients, we offer these products in various shapes and sizes. These products includes branding, posters, information signs, directional signs, product display banners and others. 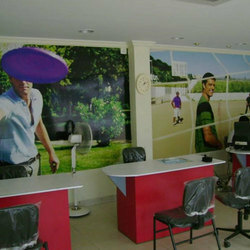 We are instrumental in offering our clients a wide range of Corporate Signage. The offered product is manufactured under the supervision of deft and expert professionals, who utilizes superior grade raw material that is in adherence to the set industrial norms. Moreover, the offered products are made with the aid of advance machinery and technology and are widely demanded by our clients. With the aid of our team of expert professional, we are engaged in offering our clients a wide spectrum of Corporate Retail Branding Sign. Made out of the best in the industry material, the offered product is used widely in various corporate and commercial sectors. Apart from this, the offered rolls are precisely designed by keeping in mind the laid industrial quality-specifications. 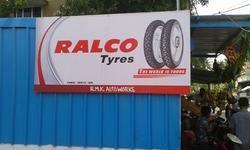 We strive to deliver some extremely attractive signboards that appealing the client instantly. Apart from this, the offered product is made in various sizes and colors and shapes, so that it can meet the specifications of the clients. Looking for Corporate Signboard ?